Meanwhile, toss eggplant with lemon juice, 1 Tbsp EVOO, and 1/4 tsp salt. Roast 30 minutes, then broil 3-5 minutes to char. Remove from heat and allow to cool. Put the pistachios in a dry skillet and toast over medium heat for 3-5 minutes until lightly browned and fragrant. Set aside to cool. To make the dressing, whisk together pomegranate juice, vinegar, honey, garlic, black pepper and remaining 1/4 tsp salt in a small bowl. 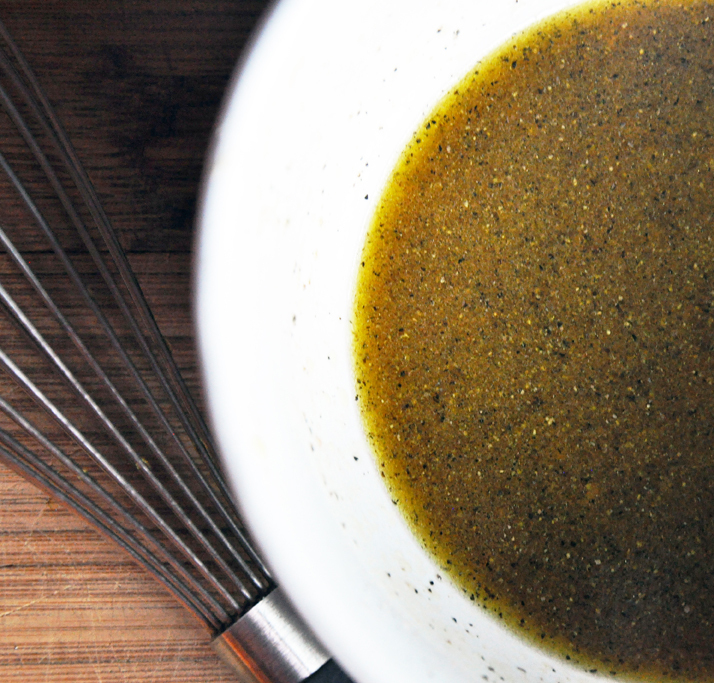 Slowly drizzle remaining 2 Tbsp EVOO into the bowl while whisking constantly. 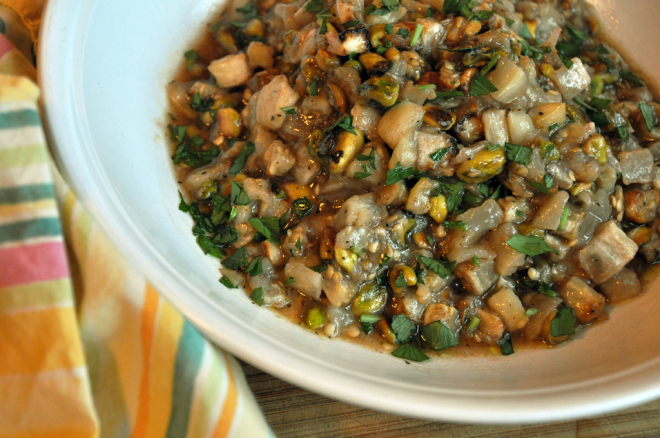 To assemble, toss the eggplant with the pistachios and the dressing. 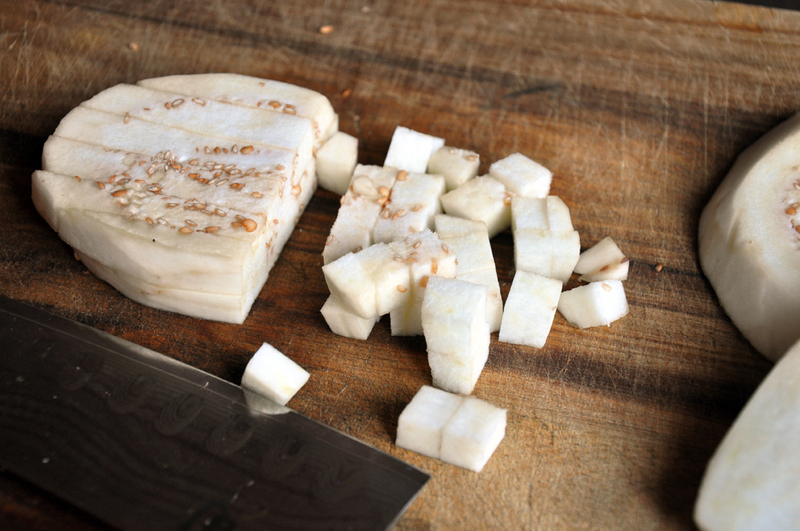 Garnish with chopped parsley and serve immediately.